How about sound quality with earphone? 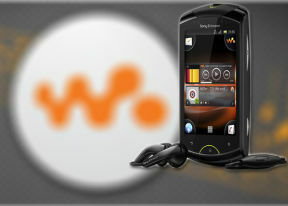 I am interested in this phone but I don't know whether it's sound is as good as W995 ? Has anybody updated android to the new ice cream sandwich version? I need a flip leather case for my lww. Can anyone suggest anywhere I can get a proper one that actually fits? Seen a lot of cheap nasty ones on the web. I bought this phone 4 days back .. it has got some real features to work with... i am very happy to use this phone.. only thing that scares me is the battery back up.. if any knows how to improve the battery life.. kindly respond to this post.. thank you..
pratikdodia, 25 Mar 2012hey guyzz plz help me.. m having cnfusion btw neo v and this walkman phone... does it play HD ... moreYeah you can play HD Games and Videos on this phone.it can do all task which Xperha Neo V can do,both hve same hardware and software..But if u are only buying the phone for Gaming & Watching Video then go for Neo V,as it has good display and large screen..remember Sony live with walkman is a Music phone ,nt a gaming phone.bt it does play All Latetst games. Anonymous, 25 Mar 2012does it access youtube? its just damn good wid a damn gud apperance....try it..
sometimes when you open gallery, its empty.. it wont view your photos and videos.. why is that?? whats the problem?? anyone plz help..
sultan al deen, 25 Mar 2012Battary backup is very poor. For video calling maximum 2 hrs. voice calling maximum 6 hours.... moreexactly. pratikdodia, 25 Mar 2012hey guyzz plz help me.. m having cnfusion btw neo v and this walkman phone... does it play HD ... more.both can play hd..
hey guyzz plz help me.. m having cnfusion btw neo v and this walkman phone... does it play HD games and videos? dear friends. Pls do not use any task killer software in your android phone. As i read in a forum, Task killers kills your system stability. The android os itself automatically closes unnecessary applications. I will give you the link, so you read the remaining urself. use google translate to translate the page. According to my daily use listning songs, surf internet (more than medium) , smsing(most ), 10 to 15 call per day. According to this will it last for 2 to 3 days?